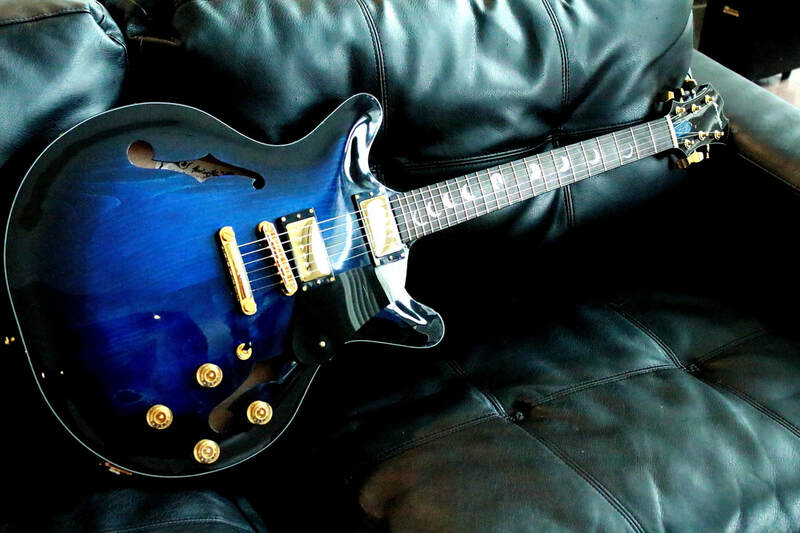 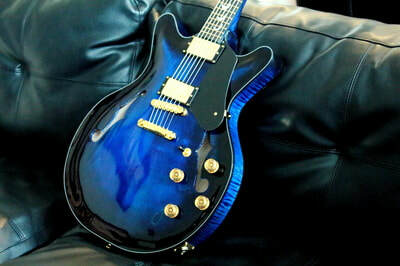 This Es-335 style guitar is all Maple with a curly figure on the rim. 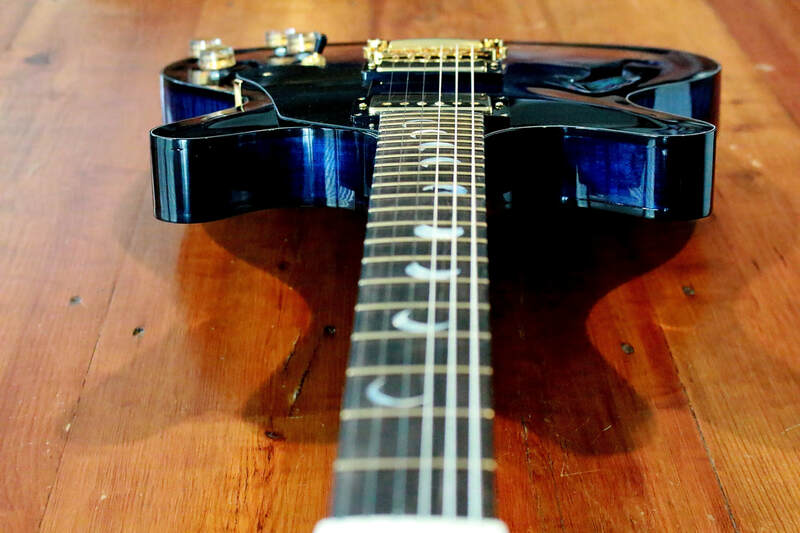 The Ebony fretboard and peghead are mounted with Gold frets and Gold tunners to match the rest of the Gold hardware. 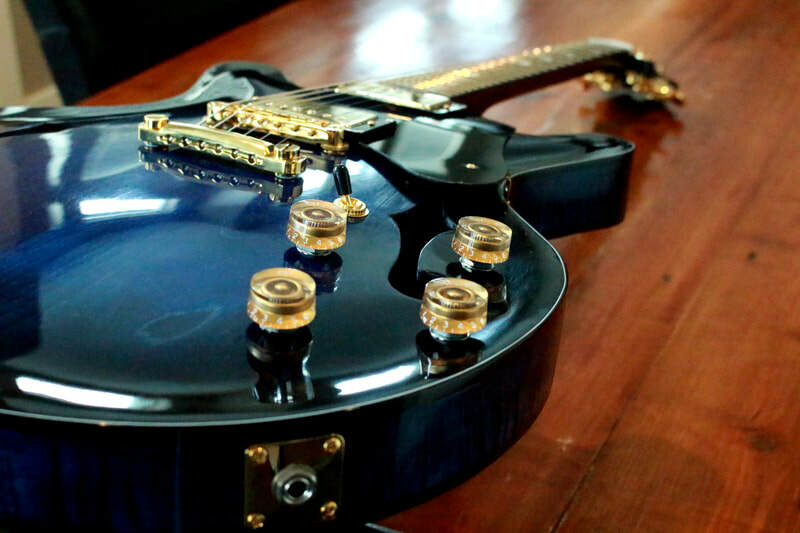 PAF humbuckers that will allow you to get those oldies sound, but also play those rock riffs. 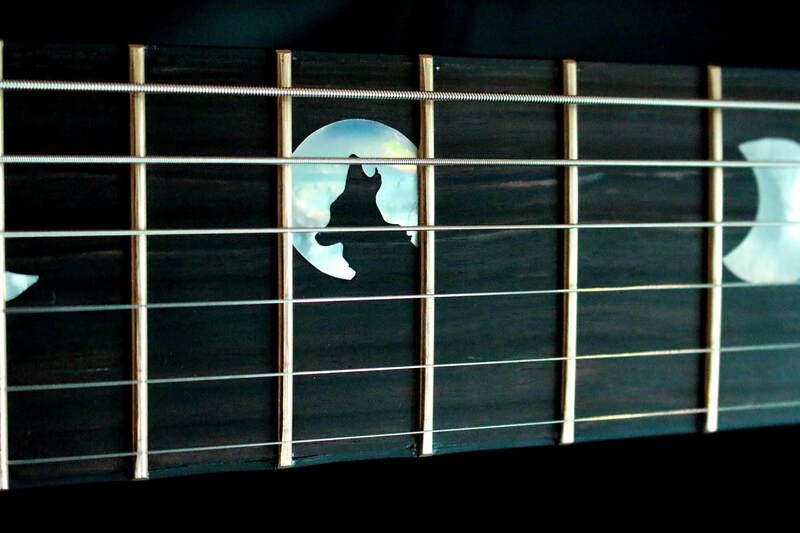 The fretboard has black binding with side dots, MoP inlay of the phase of the moon, a full moon with a howling wolf is on the 12. 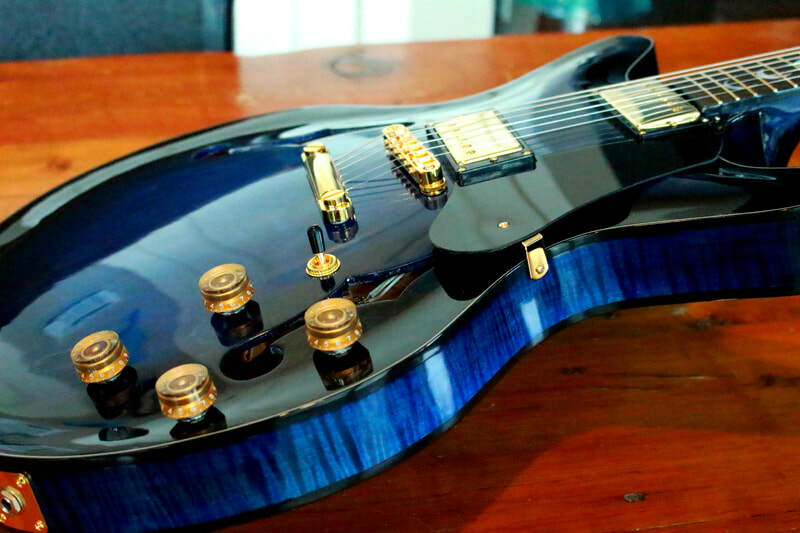 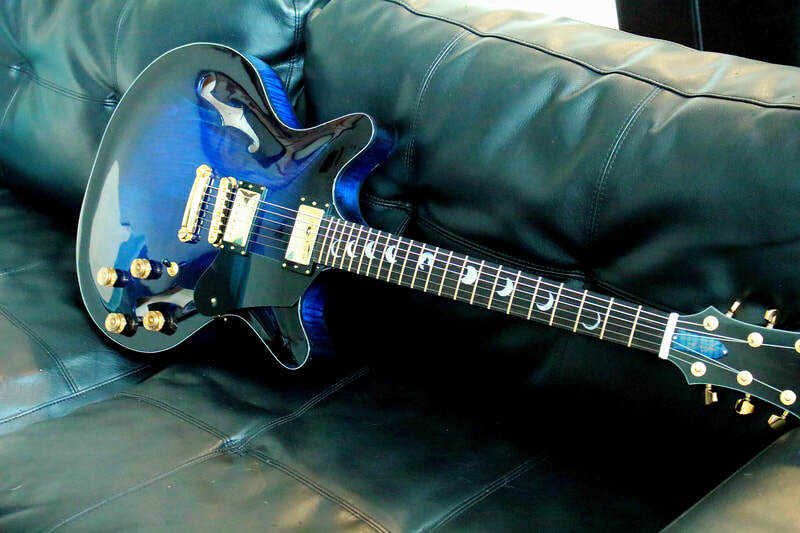 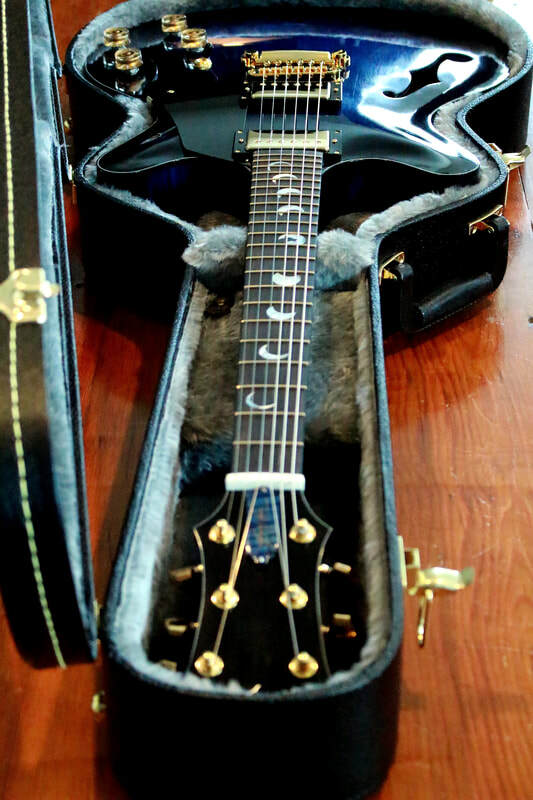 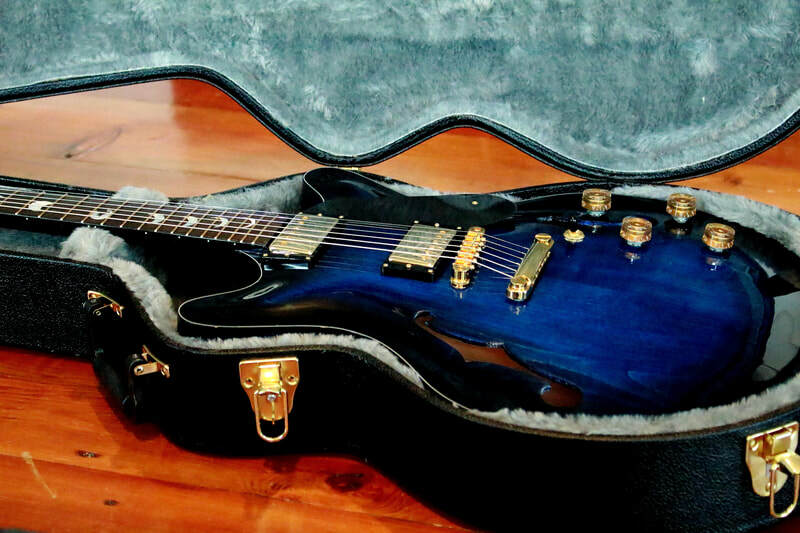 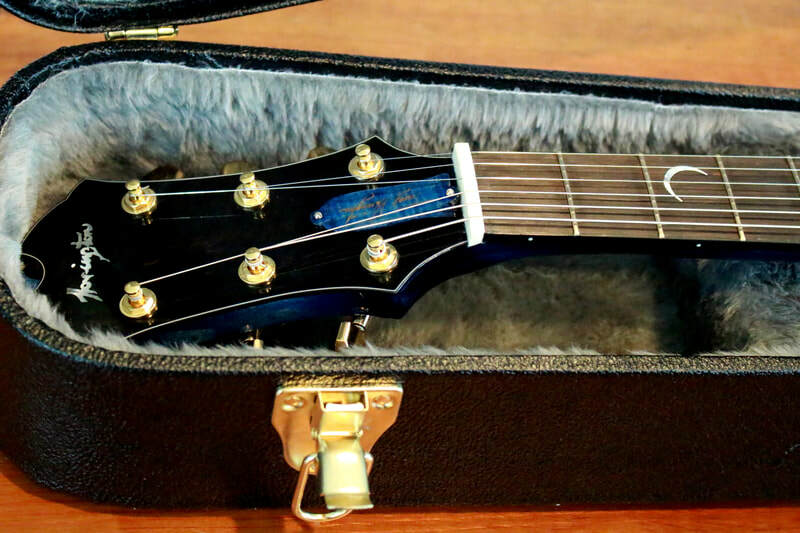 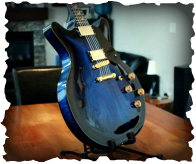 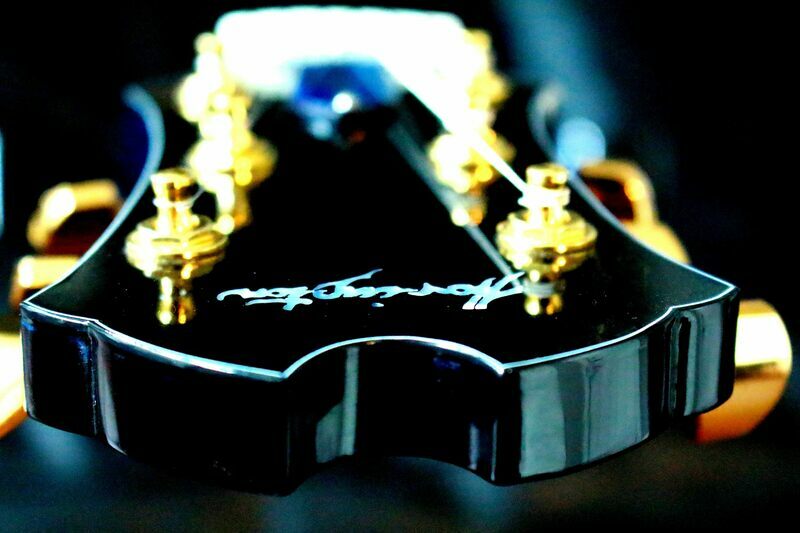 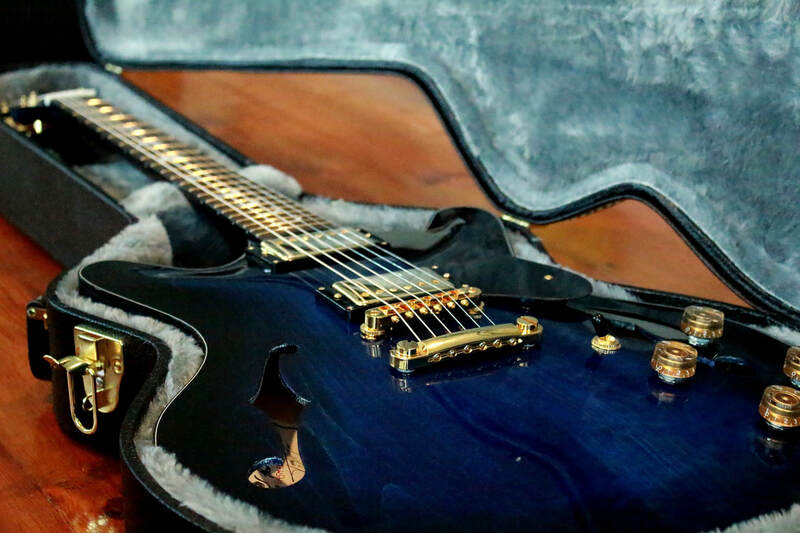 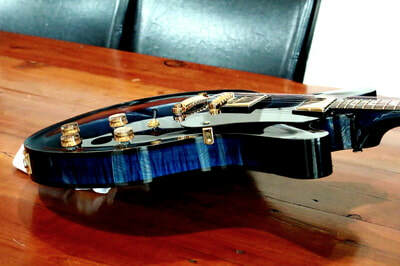 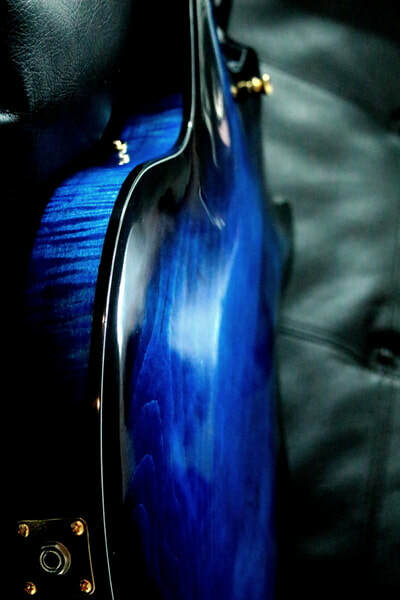 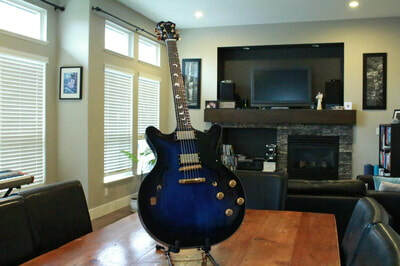 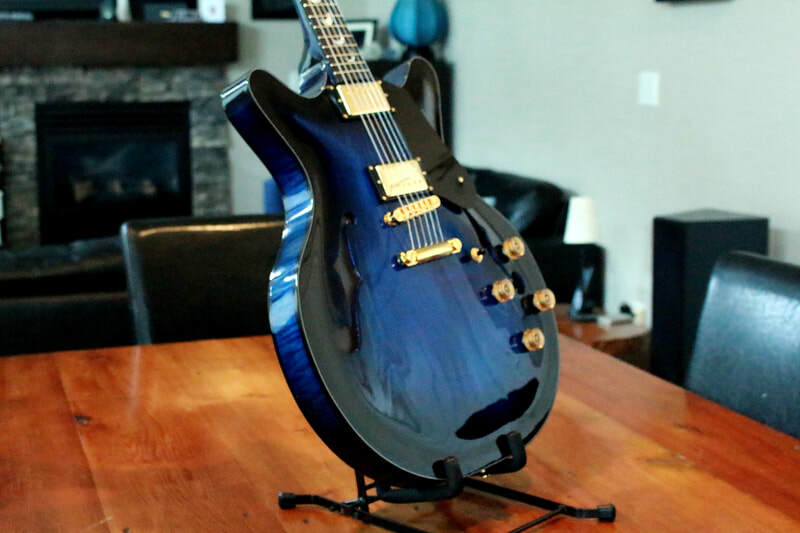 The finish is a sprayed lacquer and hand polished on top of a carefully hand rubbed blue and black color.BWB binding, front back and peghead, and MoP name tag on the headstock.